Click photo to watch a video on how Learn to Ride classes work. Learn to Ride – Kids is a free group class for children who are ready to ditch their training wheels and ride a two-wheeler for the first time. 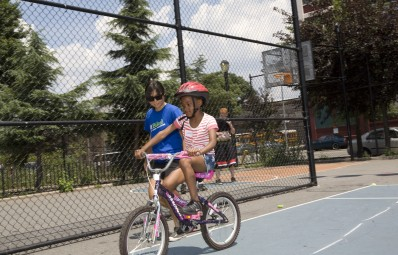 Through a safe, easy, effective method, Bike New York’s experienced instructors help parents teach their kids how to balance, pedal, start, stop, and steer a bicycle. Most kids get it in one session, but even if they don’t, parents leave knowing an easy, crash-free, low stress technique that will have their kids riding in a short amount of time. Classes are limited to 15 children with bikes provided by Bike and Roll for free. Attendees must use bikes provided, cannot bring their own. Well, that saves the subway bike schlep. 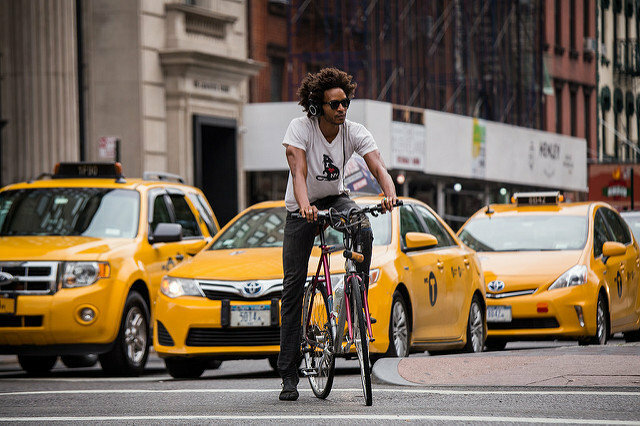 Here’s the link to pre-register at the highly bookmarkable bikenewyork.org web site. And yeah, they have adult bike-riding lessons too. 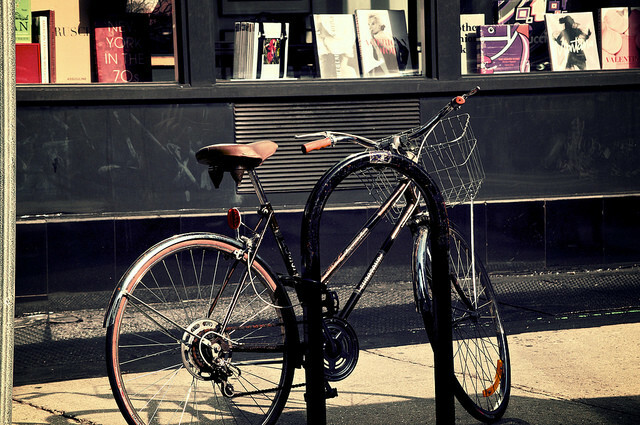 Adult bike riding classes? There are more people like me that don’t know how to ride a bike! Sweet.